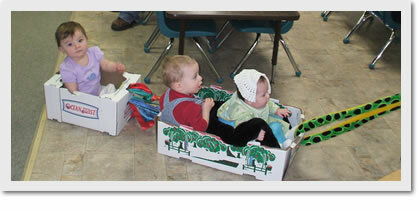 The 6 week to 2 year child care program is designed for developmental experiences. Our teachers know that the parents are their children's first and best teachers, so our staff includes the whole family into the program with open houses and one-to-one parent conferences to ensure your child is learning appropriately. Our preschool program helps prepare your young children to enter elementary school. 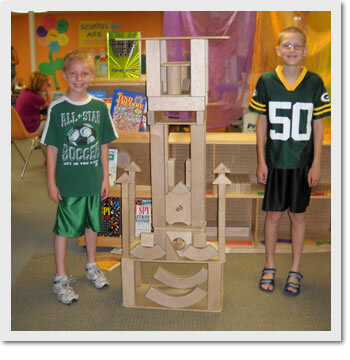 We have planned activities based on themes which allows play and exploration for learning. The program allows for guest speakers and field trips, including lessons based on cooking, music, and literature. 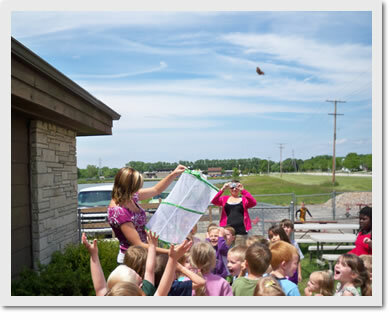 Other items we offer are field trips which include places like Apple Orchard, Fire Station, Children's Museaum, Nursing Home, Pet Store, Christmas Caroling, Dentist, Library and others. We offer a before and after school program with transportation to Pier, Waters, St. Joes, Redeemer Lutheran, St. Peters, Lutheran, Luther Memorial, Roberts, Rosenow and Lakeshore. Family Focused Discount for Full Time Additional Children.